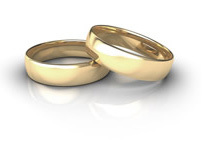 Vancouver Wedding Cinema: Rosette Films Inc.
Neha was introduced to Amar through a mutual friend. “My friend Mandy mentioned she knew this down to earth guy named Amar, who happened to be working in Vancouver and thought we would hit it off,” explains Neha. “She gave me his credentials and told me to check out his profile on Facebook. Neha was intrigued and Facebook-stalked Amar that night. Although she found him very attractive, his profile gave Neha the impression he was not looking to settle down. She decided to leave him alone, until her friend followed up a few weeks later. Unbeknownst to Neha, Mandy, affectionately nicknamed cupid by the couple, had already given Amar Neha’s picture. Although Amar liked Neha’s picture, he didn’t know how to introduce himself. Mandy’s news that Neha had provided her contact information encouraged him to connect. Although Amar teased Neha a bit, they eventually decided to get married in February. However, Amar wasn’t done yet. 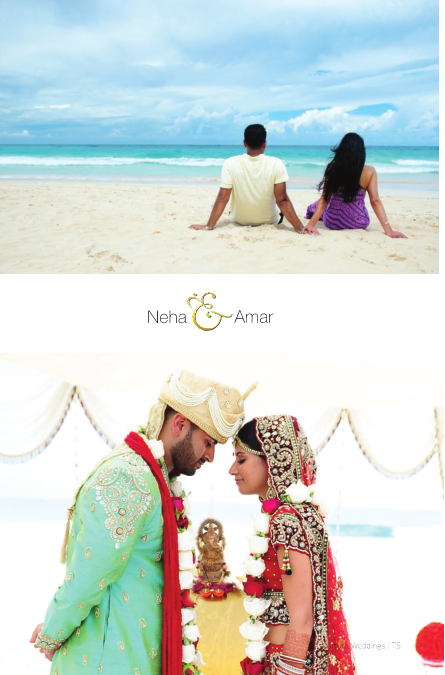 In June we flew to Punta Cana to attend a friends destination wedding,” explains Neha. “While we were there, we decided to spend one night at the resort where we would be having our wedding—the Hard Rock Hotel and Casino.” It was the one resort that had something for everyone, such as spa, dance club, casino, golf and arcade,” she continues. Neha and Amar walked the grounds and saw the exact location on the beach where their ceremony would take place. “I asked Amar if we could go back to that spot, so that I could practice walking down the aisle to a specific song I had chosen,” remembers Neha. Neha’s special song was Tujh Mein Rab Dikhta Hai (I See My God in You). “I knew that when and if I ever met the right man, I would walk to this song,” says Neha. Knowing how important the song was to Neha, they returned to the site, and Neha began practicing her walk. She was off time at first and asked Amar to wait while she tried again. “I went and restarted the song on my iPhone and walked back towards him,” says Neha. “When I got to the end, Amar was down on one knee with a ring in one hand. In his other hand was a video camera, capturing my reaction. It was the best surprise,” says Neha, who adds that she wasn’t expecting anything, since they were already halfway through the planning process. Amar wore a custom made Achkan that matched Neha’s outfit. Amar had something specific in mind that even the tailors in India could not even comprehend. Eventually, it was Neha who ended up picking the material and designing an amazing outfit for Amar, which was also made by Frontier’s in Delhi. To design their dream destination wedding experience, Amar and Neha relied heavily on their wedding planner Jamica. “She booked all the vendors we had to use in Punta Cana, made all the reservations, and executed all the events on site beautifully,” explains Neha. DJ Priyesh Mistry was flown in from Toronto to perform at all the major events. Additionally, the couple imported a pandit from Vancouver for the Hindu ceremony as well as mendhi artist Sonia from Sonia’s Henna Art in Toronto. “We provided welcome beach bags to all the guests, and at the sangeet we gave out little gift bags to all the women,” says Neha. “Each had a little jewelry box with a silver toe ring in it, a pack of bindis, and a set of earrings. All the men received silk scarves. In addition, groomsmen and close male family members from both sides were given liquor flasks personalized with their initials and our wedding date. For the reception, which took place in the Hive Ballroom, the bride and groom provided tea steepers as favours to almost 200 well-wishers. As newlyweds, Neha and Amar claim that the best thing about being married is getting tp experience their lives and the world together. “We want to get to know everything about each other and help each other become the best individuals we can be,” emphasizes Neha.